The Vinetail Mouse is a breed of mouse found in the Seasonal Garden during the Spring Season. It is known to drop Spring Key Shard as loot. With prickly fur like the thorns of a wild rose, and a long tail that grows in curlicues, the Vinetail mouse is not a rodent that you want to get your hands on, in the literal sense. Using its root feet for stability, it threads its tail into a trap, then grows a small tendril around the cheese. If the trap puts up a fight, the Vinetail mouse either digs its heels in (literally) and tries to pull the cheese out, or just lets the vine break off so it can grow a new one and try again. The Vinetail Mouse has no specific preference for any kind of cheese. Physical and Tactical traps are very effective against the Vinetail Mouse. 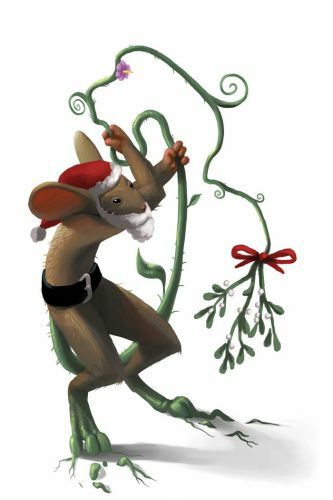 17 August 2010: The Vinetail Mouse was introduced with the release of the Seasonal Garden location. During the Great Winter Hunt 2010 and the Great Winter Hunt 2011, catching a Vinetail Mouse in Festive Comet would increase the Tower Amplifier. This page was last edited on 16 September 2014, at 01:28.